We were pleased to send a significant donation to the guys at GAP Solutions for their ‘Blue & White Day’ for charity. 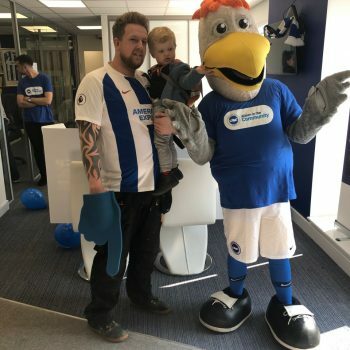 The company held the event to raise money for Albion in the Community, an independent charity that is affiliated to Brighton & Hove Football Club. 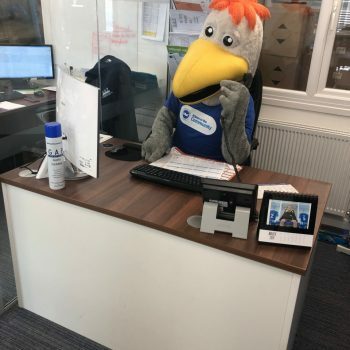 The charity exists to help local people, particularly youngsters aiming to achieve their potential, children with disabilities and people recovering from cancer. 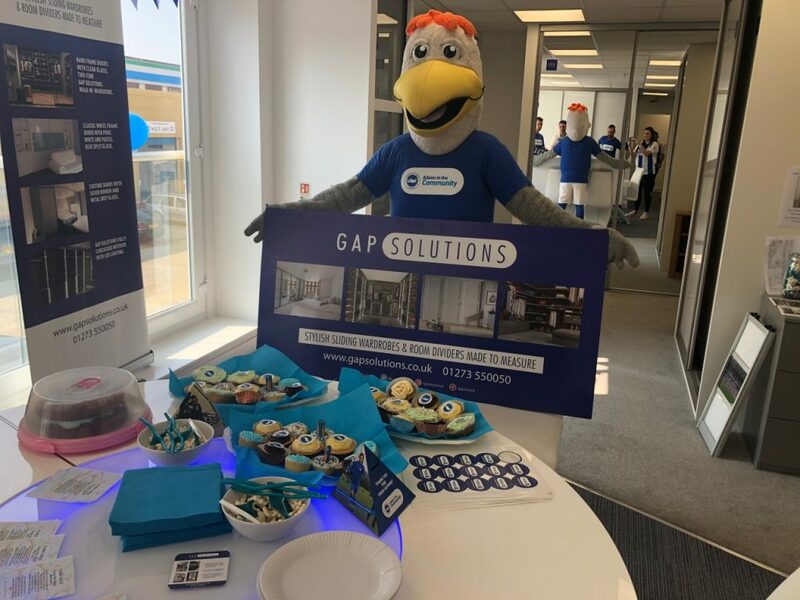 On Friday 29th March, the team at GAP Solutions wore blue and white and invited guests to their showroom for teas and coffees. They also hosted a cake sale, ran a pick-a-square competition, a guess the number of sweets game and more. Their contribution to Albion in the Community will help the charity in its work. For example, £25 can help pay for personal development workshops for young people who are tackling issues such as drugs, alcohol or homophobia. £55 can help buy specialist footballs for children who are blind or visually impaired. £300 can help a child attend Albion In The Community sessions throughout the year to build their confidence and learn new skills. We bought our Park Lane Group home in 2003 and remain just as delighted with it now as we were 16 years ago.